While many people will tell you that commuting by bicycle is less stressful than driving, the fact remains that it can still be well, stressful. While you could try to determine the least-taxing route by jotting down how tense you are in which places, doing so could get pretty complicated. The MindRider, however, is designed to make that process easier. 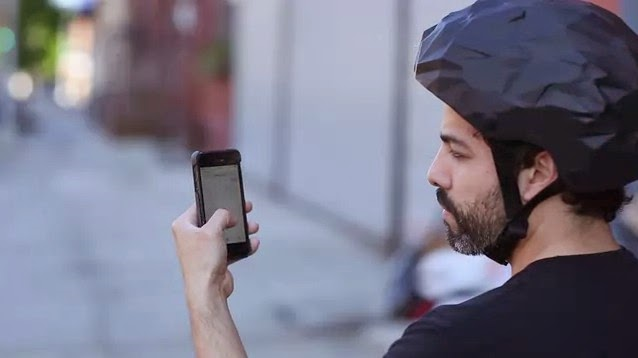 It's a "mind-reading" bike helmet that lets you create so-called mind maps of your travels. The BMX-style helmet is being developed by Brooklyn-based start-up DuKorp, and was first invented by the company's chief investigator Arlene Ducao when she was a student at the MIT Media Lab. It incorporates a soft forehead-based sensor that uses EEG (electroencephalography) to measure electrical activity in the rider's brain, along with an ear-based sensor that's used to remove noise from the EEG signal. It also has an LED located on its brim, that's visible to the wearer as they ride. 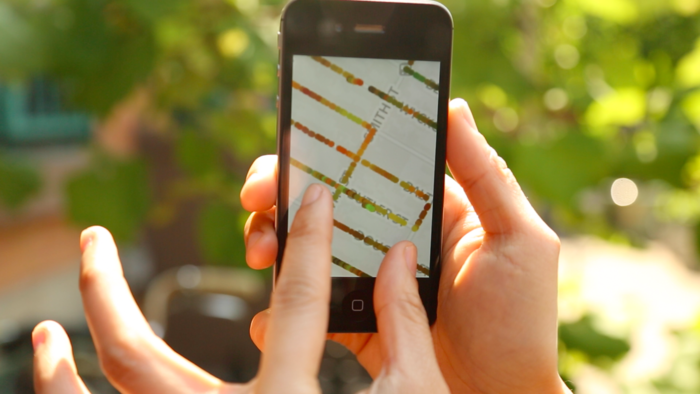 An app on a Bluetooth-paired iPhone processes the data sent by the helmet's brain-computer interface circuitry, and combines it with GPS data to create a mind map. 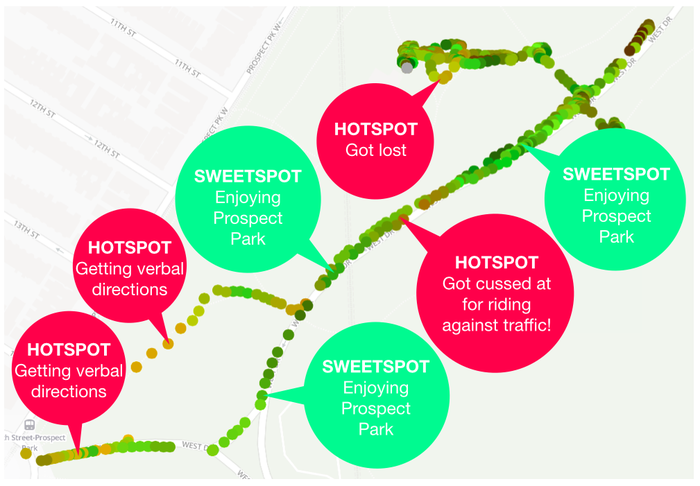 This map shows the route traveled, with green "sweetspots" indicating where the rider was most relaxed, and red "hotspots" showing where they required the most concentration. The LED additionally provides real-time feedback during the ride, by varying in color between green and red. The idea is that using the mind maps, users can either create new routes that minimize the number of hotspots, or they can simply identify where the hotspots are in order to lessen their stress by being better prepared for them. Additionally, the mind maps of multiple users could be used by city planners to plan more rider-friendly bike routes. Along with her business partner Ilias Koen, Ducao and her team are currently raising production funds for the MindRider on Kickstarter. A pledge of US$190 will get you one, when and if they're ready to go which shouldn't be until next December.